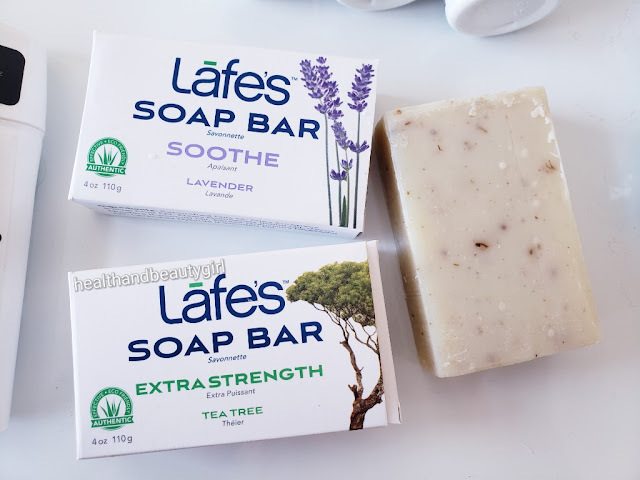 I was thrilled when Lafe's Natural BodyCare reached out to me to test out some of their products and also share a great big giveaway with you guys! 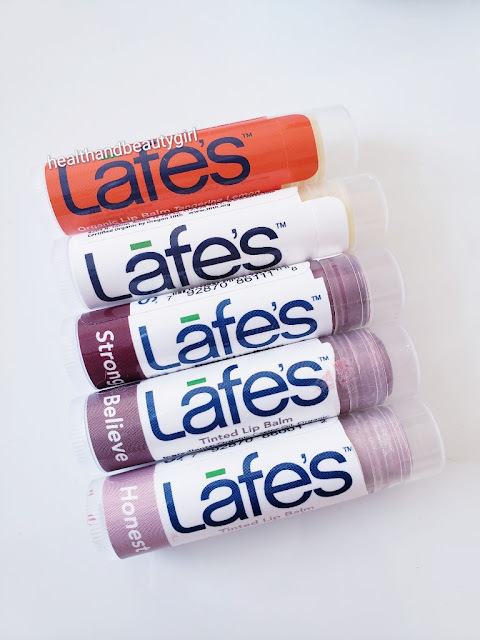 Lafe's is a family owned, personal care company that believes in conscious living for a balanced & fulfilling life. They believe that what you put into your body is just as important as what you put on your body and I couldn't agree more. 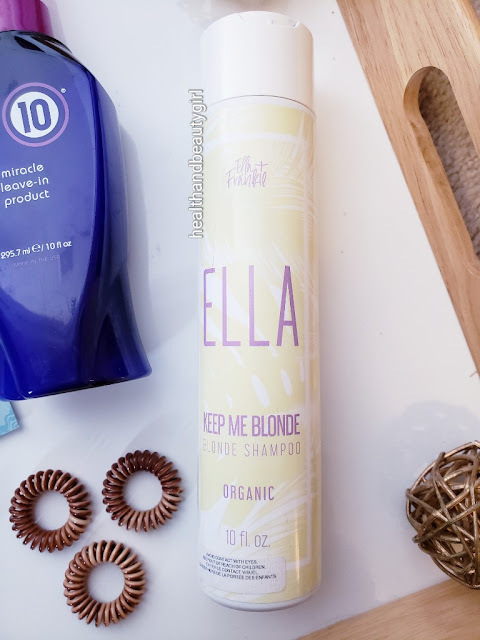 Their award-winning products are all natural, non-toxic, and cruelty-free! They are also an eco-friendly brand that gives back to the community through their 1% Project. They donate 1% of the profit from every sale to support breast cancer prevention and environmental awareness! 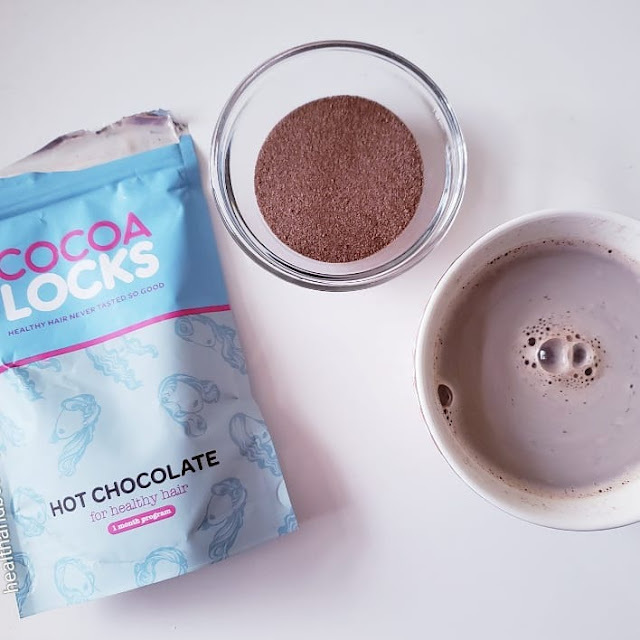 We have spent the last few weeks testing out many of their products and they get two thumbs up from this household! We haven't found a dud in the bunch. This all-natural and vegan soap is made with plant-based oils and is free of harmful chemicals. I'm partial to the lavender as I find the scent so soothing and relaxing and it's not overpowering at all. It just gives me and my shower a soft beautiful lavender scent and gives me that spa feeling. My partner loves the Tea Tree for its fresh scent and antibacterial properties. These bars do a great job at cleansing while hydrating at the same time. Lafe has both USDA certified organic lip balms as well as 100% natural non-nano mineral tinted lip balms (my favourite!). These products are made with organic botanicals and oils and they are super hydrating. 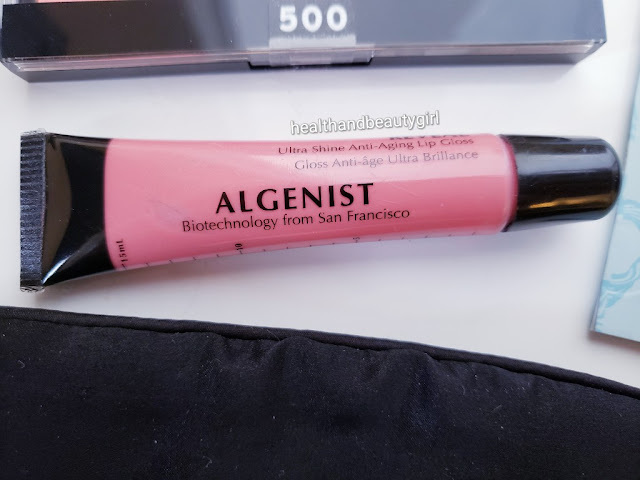 I'm more of a tinted lip balm kind of gal over lipstick for everyday use. These are hydrating and add just a hint of colour and shimmer to the lips. 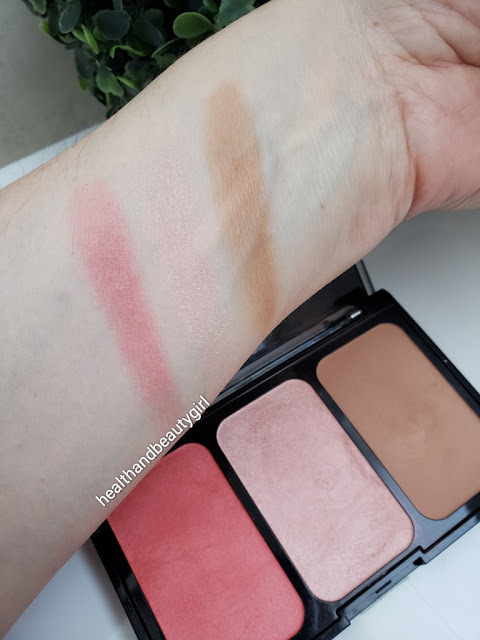 The tinted balms are available in 3 shades and add just a hint of colour. 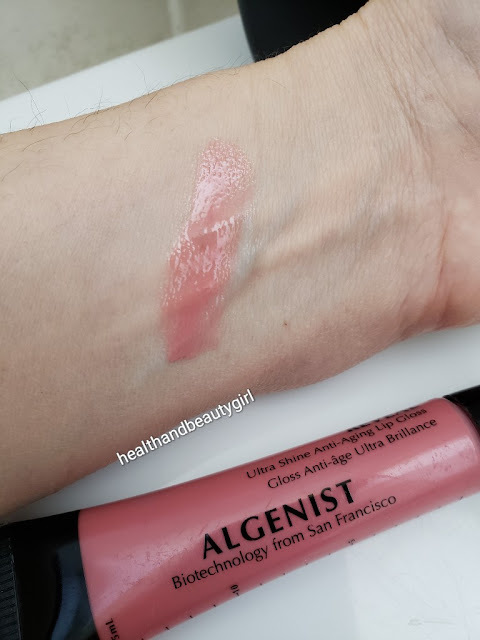 They are perfect for everyday wear, are super-hydrating and add a nice sheen to lips making them look hydrated and plump. All of the deodorants come in a number of fabulous scents as well as unscented versions, so there is something for everyone. They are also sold in multi-packs for extra savings. 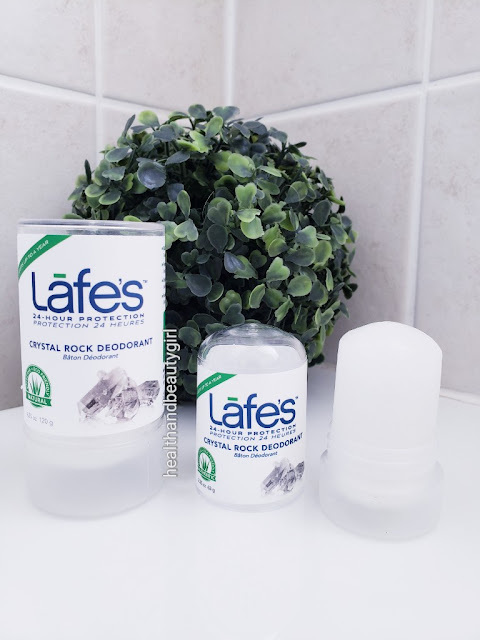 Lafe's Crystal Rock Deodorant offers 24-hour deodorant protection, made with natural mineral salts that eliminate odor-causing bacteria. Convenient package makes using a crystal deodorant easy while protecting the crystal from breakage. I've enjoyed Lafe's products so much. 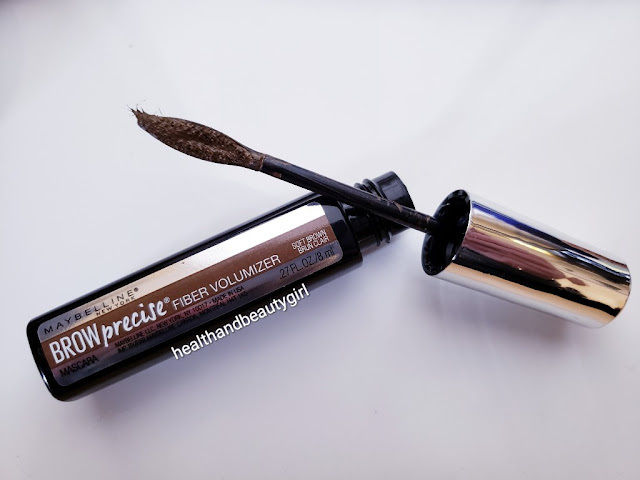 Every product that I've tried so far is a home run! 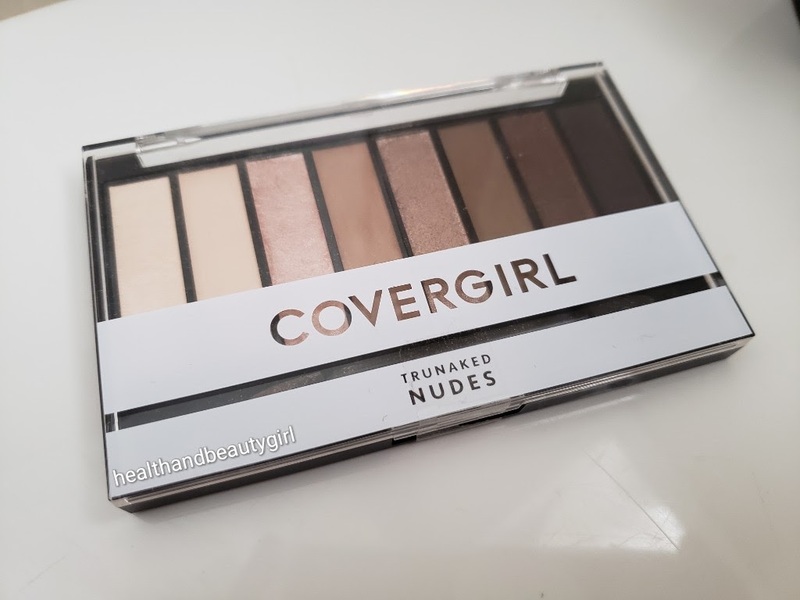 I can't wait to try more of their products. You can connect with Lafe’s on our website, Facebook, Instagram, and Twitter. Head to my Instagram @ healthandbeautygirl and follow the instructions (also shared below). Want to win a basket of Lafe’s Products? To be eligible, just follow the simple rules to enter! 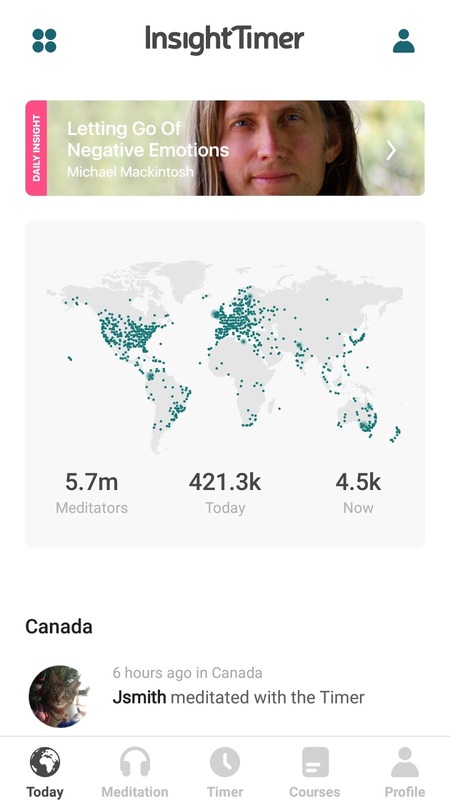 Terms + Conditions: Open to Canadian & US Residents. Must be at least 18 years of age or have parental consent. 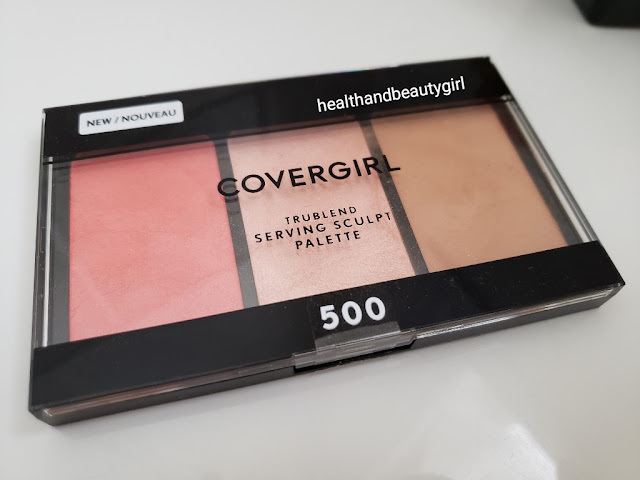 Giveaway will run until March 8, 2019, at 11:59 PST. Winner will be notified by DM. Prize may appear differently than what is pictured. Winner accepts the prize as received. 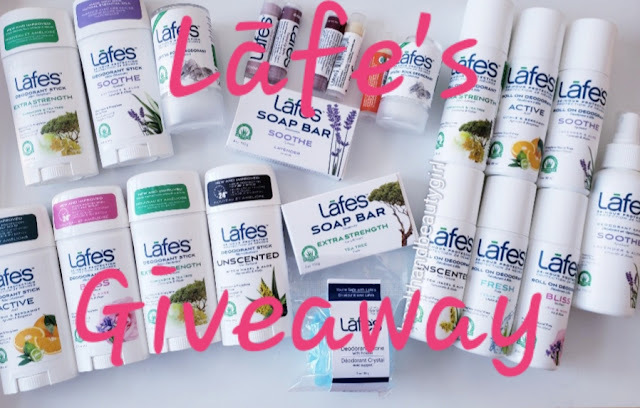 By entering this giveaway, you release Lafe's Natural Bodycare and Health and Beauty Girl from any and all damages that may arise from entering or winning this giveaway. Winner will have 72 hours to claim their prize otherwise another winner will be selected. Winner must answer a skill-testing question. Giveaway is in no way affiliated with Instagram, Facebook, Twitter or any other platform. 1 Winner will receive the prize pack as described above. Not sponsored. 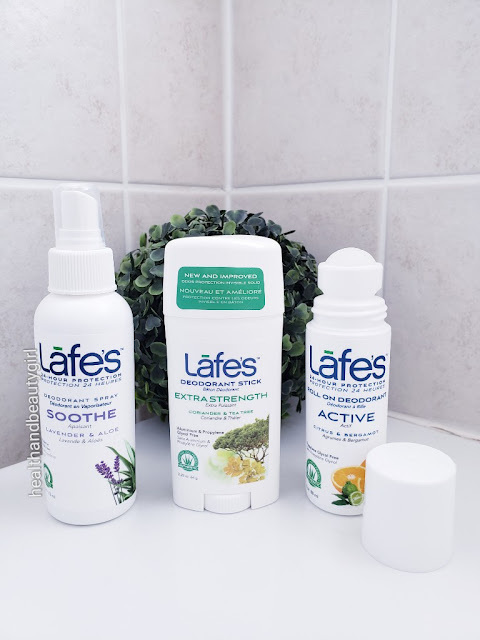 Prize and products for review are generously provided by Lafe's Natural Bodycare. 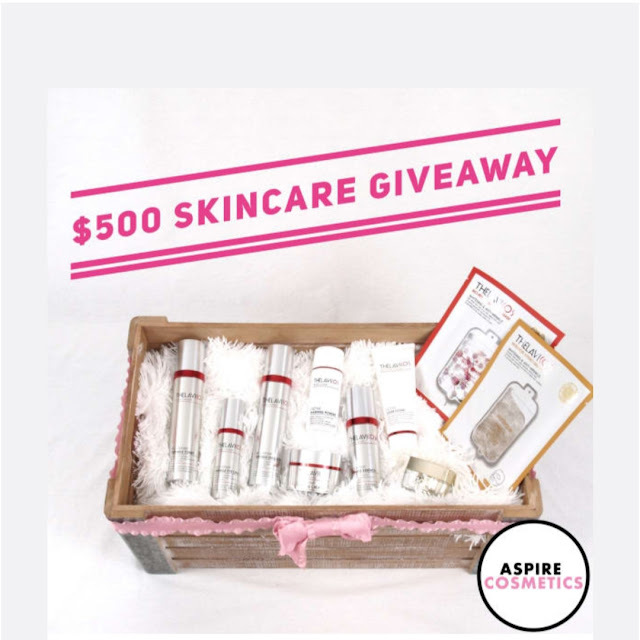 There's a new K Beauty brand coming to town and they are offering FREE products as well as hosting a $500 Skincare Giveaway! 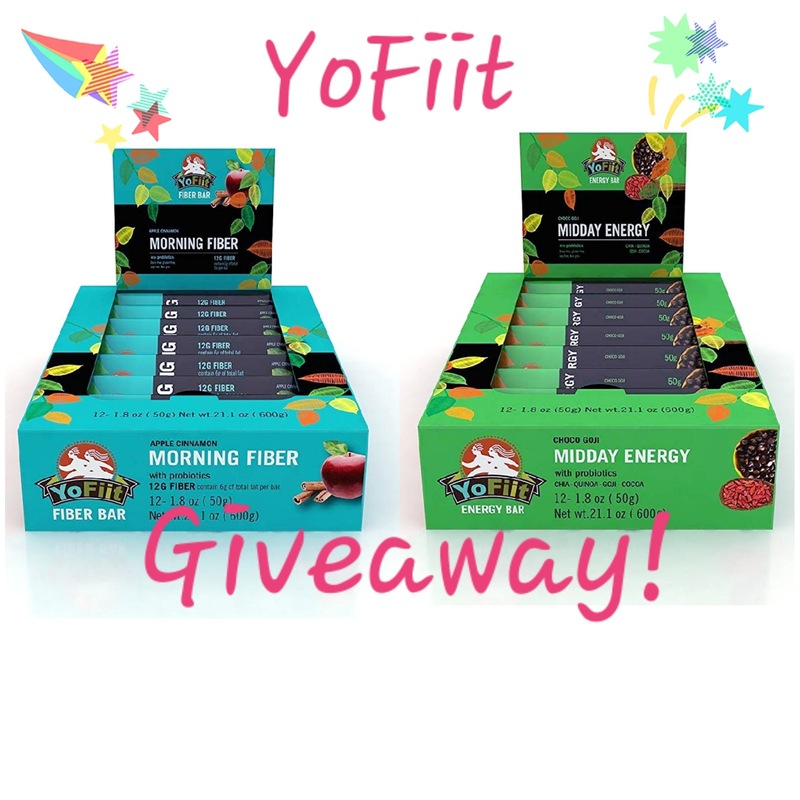 Just sign up and you'll be entered to win and you can start earning free products right away! They will be launching soon, so sign up now and be among the first to try this new brand! Sign up here to start earning free products and automatically be entered to win the $500 skincare prize pack- Sign Up Here! PS.... Stay tuned for a NEW blog/ IG Giveaway coming tomorrow!!! Not sponsored. contains referral link. Exotic body butters in this new line create luxuriously rich foaming body washes that will make you feel like you've just stepped into a spa in your own bathroom! 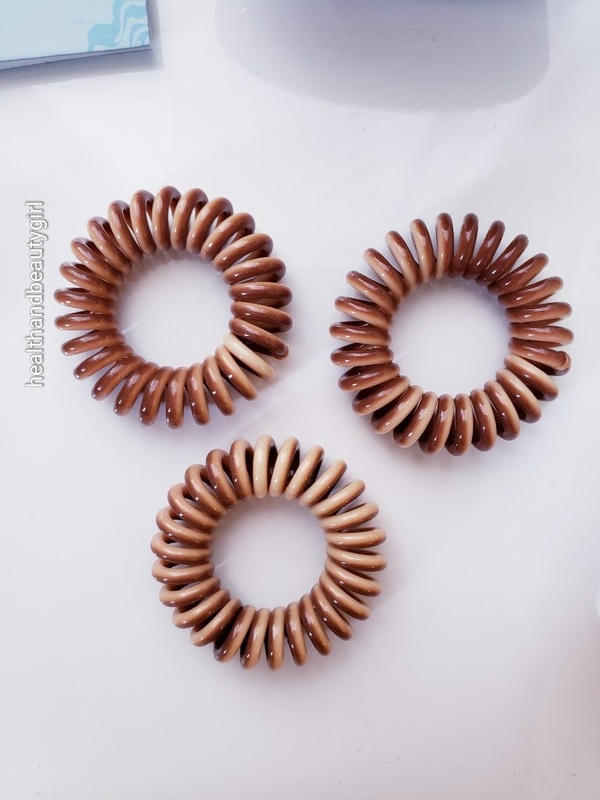 🛀 They are super hydrating, deliciously scented and clean like a dream! They leave my skin soft, hydrated, and they rinse clean, so there's no residue. 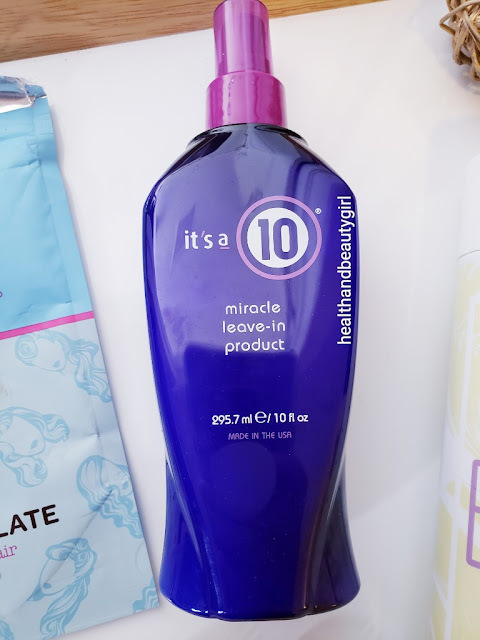 Unlike foaming products that use SLS and harsh, toxic cleansing agents, these foaming cleansers are not drying because they don't contain any of those harsh chemicals. 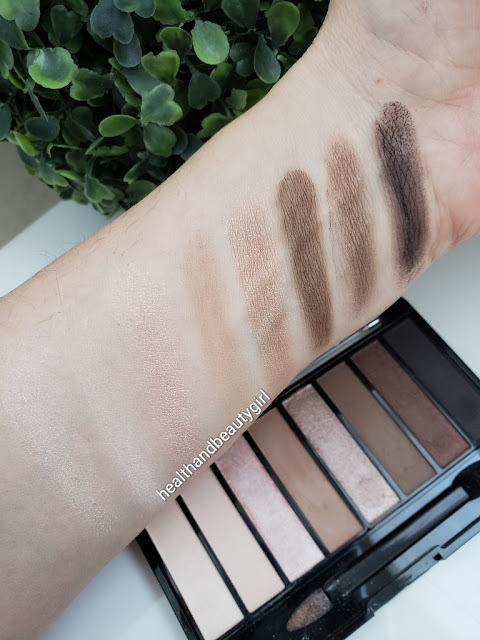 Instead, they are loaded with natural and hydrating ingredients that leave you anything but dry! With these cleansers, Live Clean developed a rich, creamy, unique and luxurious foam that rinses easily and requires less water to do so, which makes them even more eco-friendly! 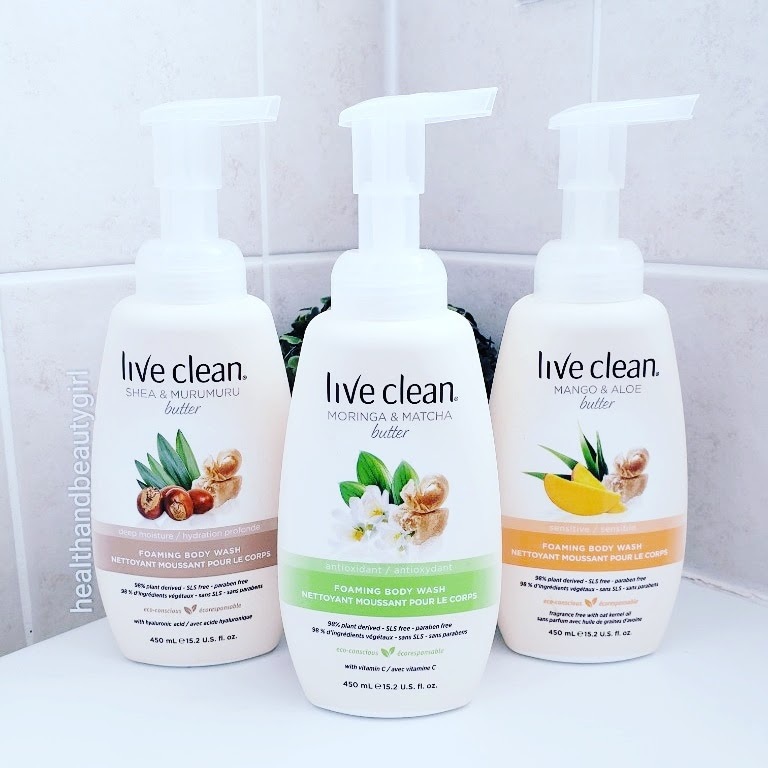 Each Live Clean's 98% plant-derived, SLS and paraben free formulas harnesses the specific, skin-enhancing attributes of some of the world’s richest butters. Shea & Murumuru Butter provides deep moisture, Mango & Aloe Butter soothes sensitive skin and Moringa & Matcha Butter provides the benefits of antioxidants. Live Clean Foaming Body Washes combine the perfect ingredients for exceptional, targeted results and a whole new level of bath and shower experience. Live Clean Moringa & Matcha Butter Antioxidant Foaming Body Wash Moringa and Matcha Butters plus antioxidant-rich Vitamin C energize the skin and renew its natural glow. Moringa Butter is made from a wonderfully luxurious oil from the seeds of the Moringa Oliefera tree native to the Himalayas. 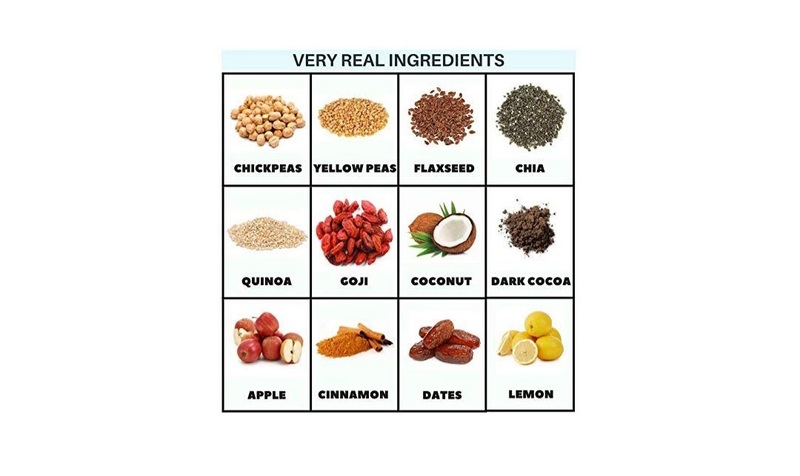 With anti-oxidant and rejuvenating properties. Matcha Butter, made from Japanese Matcha Green Tea leaves, has powerful moisturizing properties. Live Clean Mango & Aloe Butter Sensitive Foaming Body Wash Mango and Aloe Butters in a mild unscented formula with calming Oat Kernel Oil for sensitive skin. Mango Butter is a rich, soothing moisturizer. Its Vitamin C brightens and rejuvenates. Aloe Butter quickly hydrates and moisturizes. Live Clean Shea & Murumuru Butter Deep Moisture Foaming Body Wash Shea and Murumuru Butters enriched with moisturizing Hyaluronic Acid to deliver gentle cleansing and long-lasting hydration. This one is my personal favourite, it smells like argan oil! Shea Butter is highly concentrated with fatty acids and vitamins for deep moisture. Murumuru Butter’s fatty acids help restore elasticity to damaged and aging skin. I'm a sucker for a bar necklace! Add that it's customized and I'm all in! The quality of the necklace and the engraving is impeccable. It's the perfect shade of rose gold and the bar style necklace is timeless and never goes out of style! It also goes with everything, so I've been wearing it daily since I received it. This necklace also comes in gold or silver. Sincerely Silver Co. can customize your necklace however you like! It makes the perfect gift for anyone. You can engrave the roman numerals for any date or number that is meaningful for you. Some common dates are your wedding date, graduation date, first date, engagement date etc. Sincerely Silver is a lifestyle brand that includes a collection of simple and classy jewelry for every day wear. We make simple jewelry that is perfect for your every day necklace. We also make personalized jewelry if you want to add a meaningful touch. If you have a vision for a custom necklace and don't see something similar in our collection, 99% of the time we can make it for you! 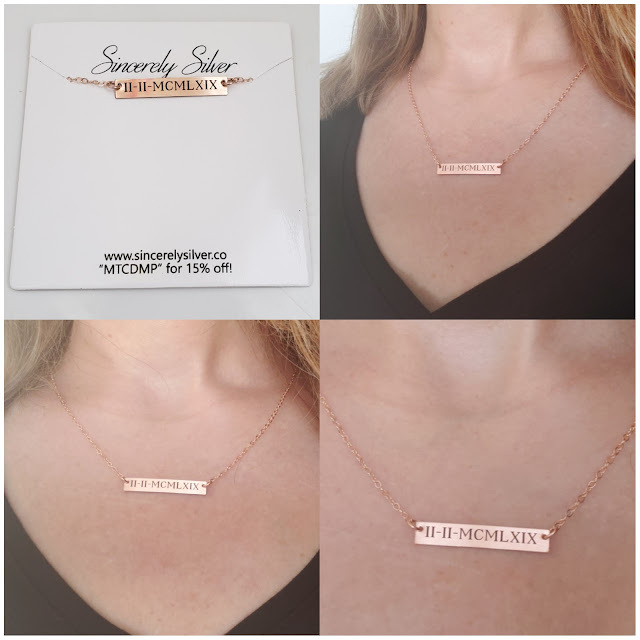 If you are looking for a personalized gift for someone or just want to treat yourself, you really can't go wrong with this necklace. This necklace retails for $45 and can be purchased HERE. Sincerely Silver Co is offering 15% OFF your order with the code "MTCDMP" (not a referral code). Visit https://www.sincerelysilver.co/ to learn more or to purchase. “Sleeping on your stomach or on of your sides means there is constant pressure on your face. Over time, this action will produce unwanted sleep lines. You can remedy this by sleeping on your back,” says Dr. Shah. This way you will not apply any pressure to your face. For many people though, this might be uncomfortable, and you can't control your involuntary sleep movement leading you to a side or stomach position. You can practice and can get used to it over time. If you're craving a midnight snack or drink, be mindful. While some foods, a light, carb snack like crackers or an apple, can actually help your sleep, many others can disrupt your sleep and wreak havoc on your appearance. Alcohol and salty food can have a dehydrating effect on the body. To compensate, your body starts collecting natural fluids around the eyes, among other places, leading to that dreaded puffy-eye look. Dehydration is claimed to lead to formation of dark circles under the eyes. 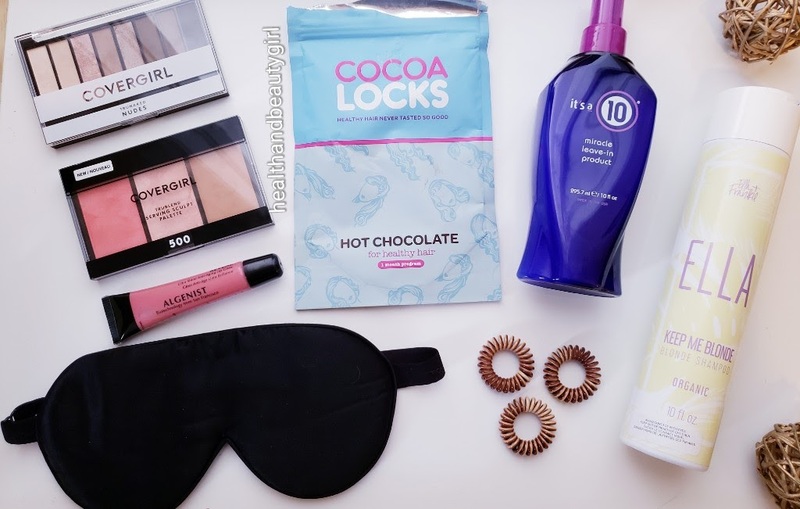 It's a good idea to keep your hair out of your face while you're sleeping to keep its natural oils from wreaking havoc on your complexion. But avoid pulling it into a really tight bun or ponytail because that can cause hair breakage, especially around the hairline. Dr. Shah suggests wrapping it up in a scarf (silk would be ideal). “No matter how tired/drunk you are, going to bed with your makeup on will only be worse the morning after (clogged pores, irritated eyes, oily residue etc.). Make it less of a chore by keeping some good-quality face wipes by the bed for a fast, effective cleanse. It's not ideal to rely on convenience cloths every night in place of a deeper clean, but on late nights they're skin saviors, says Dr. Shah. At night, your body’s natural temperature declines. Keeping the temperature in your bedroom low is good for both your metabolism and your blood flow. 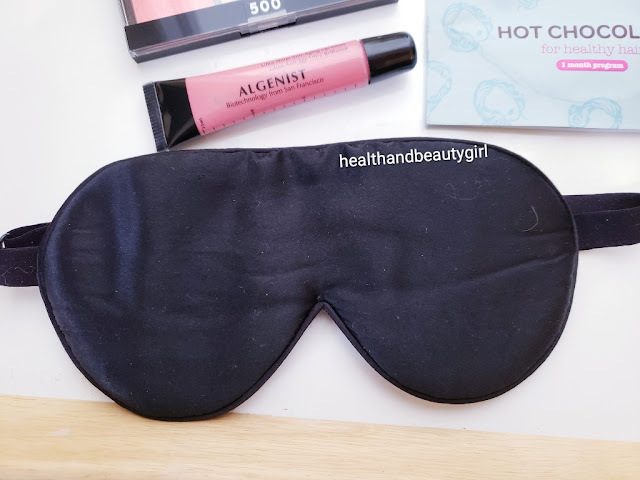 Dr. Shah explains that “This is important because improving your blood flow helps oxygenate your skin, keeping it plump and even-toned for the day ahead. Maintaining a cool temperature in your bedroom will also help reduce redness in your skin.” The National Sleep Foundation recommends keeping your bedroom between 60 and 67 degrees Fahrenheit for an optimal night’s sleep.